When users stream illegal content from an illegal source, rightsholders insist that's copyright infringement. However, the EU Commission notes that it's probably not an offense, a stance recently supported by Trading Standards in the UK. Interestingly a High Court judge has just thrown his hat into the ring, stating it's against the law. Copyright education has come a long way in recent years, with a much greater proportion of Internet users now aware when their activities might fall foul of the law. There is no doubt that many still have a problem with the level of freedoms available when it comes to sharing content online without copyright holders’ permission, but an understanding of how that is viewed by the authorities is certainly helpful. In most areas certainty is available. In many jurisdictions, downloading and then sharing content online using BitTorrent, for example, is considered unlawful distribution, an act punishable by law. But what about those who only consume unauthorized content via online streaming and are not involved in dissemination? What looks like a straightforward question does not have a straightforward answer. That’s somewhat unfortunate since streaming video is now an extremely popular activity engaged in by millions of Internet users. 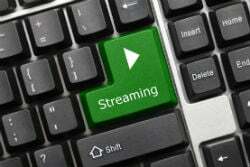 Legal experts have gone back and forth on the issue of streaming for years. The idea that people who stream do not make any more than a transient copy of content on their own machine has led some to conclude the activity is either legal or sits in a gray area. That opinion is not shared by rightsholders. One such example can be found in the case between Dutch anti-piracy group BREIN and Filmspeler.nl, a store which sold “piracy configured” Kodi-type devices. The case was referred to the EU Court of Justice, where several questions were discussed during a hearing late September. One question tackled streaming directly. “Is it lawful under EU law to temporarily reproduce content through streaming if the content originates from a third-party website where it’s made available without permission?” it asked. Interestingly, in this case, the European Commission equated streaming to watching, which in its opinion is legal from a viewer perspective. Based on this conclusion the Advocate General is to offer a recommendation, to be followed by a final verdict from the EU Court of Justice sometime in 2017. With that moment still to arrive and anti-piracy groups still insisting that streaming illegal content is, well, illegal, earlier this month Derbyshire Council Trading Standards in the UK offered its opinion, which essentially supports the position of the EC. “Accessing premium paid-for content without a subscription is considered by the industry as unlawful access, although streaming something online, rather than downloading a file, is likely to be exempt from copyright laws,” a spokesperson said. But before streaming pirates begin celebrating too much, a rather influential individual has just thrown his hat, or indeed wig, into the arena. Mr Justice Arnold has presided over a number of important copyright cases in the UK, including those involving The Pirate Bay and Newzbin2. He hasn’t been asked to rule directly whether users who stream content break the law, but he gave an opinion on the topic as part of the recent injunction application by The Premier League. Before handing down an order to block pirate streams of Premier League matches, Justice Arnold had to consider whether “the operators and users” of pirate servers infringed the League’s copyrights. In respect of operators, the decision was straightforward. They have a copy of Premier League content which they distribute unlawfully to the public. It’s an open and shut case dealt with under existing case law, something that cannot be said about user streaming specifically. Nevertheless, Justice Arnold appears to have reached his decision with ease. The Judge decided that although they do not distribute, users do make unlawful copies of Premier League content, even if they only stream it to a device. “In the course of streaming the Works, users who access a stream cause their computer, mobile device or set-top box to create copies of the Works in the memory of those devices. In some cases, a substantial part of a Work may be copied in a single frame (for example, a Logo),” the Judge said. In an earlier case, it was determined that no copyright exists in a live match but The Premier League (FAPL) has now closed that loophole. It now records a copy of a match momentarily before transmission to the public, so it holds a copyright in the same way as a movie or TV show company would over their products. “[T]he Clean Live Feed for each match is now recorded prior to onward transmission and so the FAPL now claims copyright in those films. In addition, FAPL now claims copyright in new logos and graphics,” the injunction reads. It’s worth noting that to breach the Copyright Designs and Patents Act, a person needs to copy a “substantial” part of a work, whether that’s a movie, TV show, or indeed a football match. However, despite the transient nature of streaming video to the memory of a viewer’s device, the Judge said that a substantial part of the work would be copied if users stream content in any meaningful way. “In the case of films of matches, copying of a substantial part is very likely to occur if users stream footage of any appreciable segment of the match,” he wrote. So what we have here is a conflict of opinion. On the one hand, the European Commission doesn’t have a problem with users streaming under EU law, and on the other, a prominent High Court Judge believes that streaming amounts to illegally copying a substantial part of a copyrighted work into a computer’s memory. What happens from here isn’t clear, but an opinion from the European Court of Justice is awaited, which should provide greater clarity. In the meantime, consumers of unauthorized streaming content will have to wait, unsure whether they’re breaking the law or not, which is far from ideal.